One of Toronto’s oldest independent coffeeshops, Jet Fuel is a local landmark with a unique roast that lives up to its name. There’s no menu, but just ask and we’ll make you whatever you like. All espresso-based coffees (no drip), and a great selection of hand-packed teas. Hot or cold lemon-ginger that’s pressed while you wait. Pastries baked fresh every morning. Come early, they sell out. With over 20 years in the sport, the Jet Fuel Cycling Team has been a stepping stone for many of Canada’s top cyclists. Former national champions on the road and on the track, our goal is to build the profile of cycling and promote young riders to international competition. From 1998 to 2017, Jet Fuel consistently fielded one of the country’s best road cycling programs. National road champion, 2002, and on the track in 2007 and 2009. After 10 years of the Alley-cat Scramble, John took street racing indoors - designing and building the first figure 8 velodrome, the Human Powered Rollercoaster. 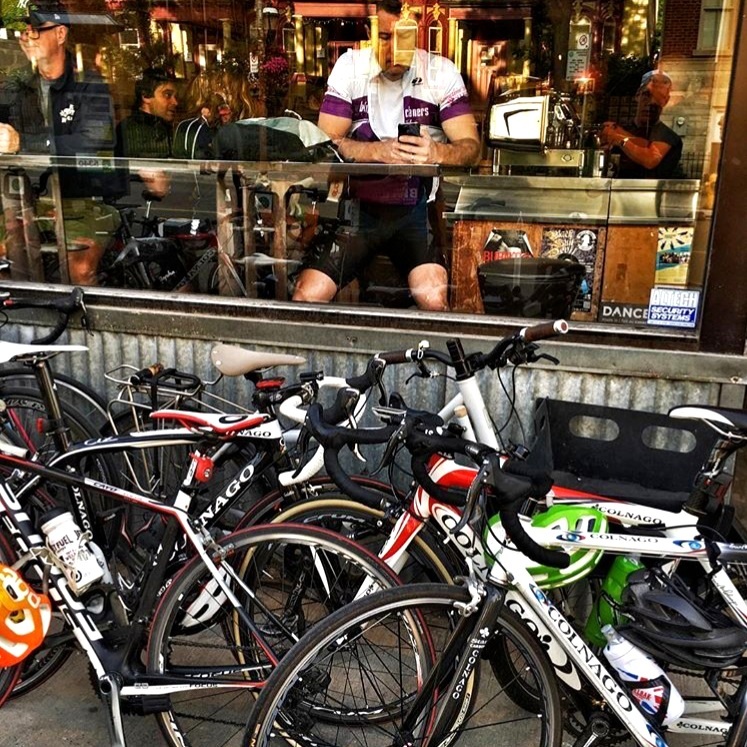 Jet Fuel has created a hub for cyclists of all kinds. Over the years, we’ve sponsored neighbourhood kids who want to race, and we continue to host local club rides.